With a life that spanned times of war and times of peace, times of plenty and times of want, Robert Carson was a blessing to so many others. He was warm, genuine, and always ready with a smile and a zest for life that was contagious to all who were near. Although he accomplished so much of which to be proud, Bob’s greatest source of pride and joy was found in the family he treasured. Life will never be the same without him here, but he leaves behind a timeless legacy that his loved ones will proudly carry on in his footsteps. The 1930s were trying days in America. The Great Depression covered our nation throughout the entire decade, and nearly every American felt the strain in some way. There were still causes for celebration, however, such as the completion of the Empire State Building and the first ever Macy’s Thanksgiving Day Parade. This was also a time of great celebration in the lives of Charles and Clotilde Carson as they announced the birth of the baby boy they named Robert on February 8, 1933, in Detroit, Michigan. One of five Carson children, he was raised in the family home alongside his brothers, Al and Willie, and his sisters, Rita and Gladys. Bobby, as he was known while growing up, liked to help his father with his wild birds and to be involved in training them. An animal lover, Bob also had a pet squirrel that would come to him on his porch and perch right on his shoulder! He attended local schools including Cooley High School in Detroit. Bob also graduated from the Electronics Institute of Detroit. While holding down his studies in high school he also worked some at his brother Al’s grocery store. New and exciting changes were in store for Bob when he met the love of his life. 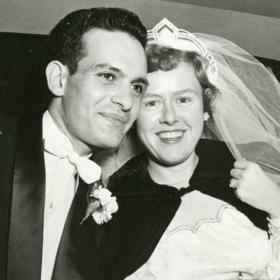 Her name was Margaret, and they met at a dance at Precious Blood Church in 1949. 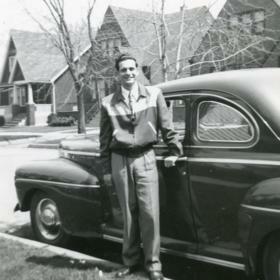 This marked the beginning of Bob and Margaret’s courtship, and Bob soon graduated from the Electronics Institute of Detroit. 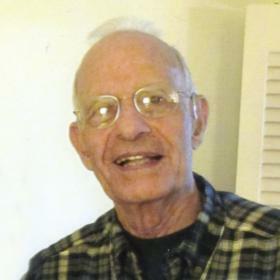 After graduating in 1951, he spent a short time working for a large boiler company in Pennsylvania and then Micromatic in Detroit where he worked as a tool designer and project engineer. A bit later, Bob entered into the United States Army where he served in the artillery. 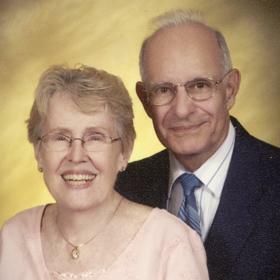 While he was serving, Bob and Margaret’s love deepened as they corresponded through letters every day while he was serving in England during the Korean Conflict. After having served from 1952 through 1953, Bob returned home and was reunited with his sweetheart. With the desire to establish a life together they were married on November 27, 1954. The newlyweds began their new life together in a small apartment in Highland Park, Michigan. Bob was back to work at Micromatic Textron, which is where he spent his entire career until retiring in 1993. With Margaret also working as a teacher when they were first married, they had saved enough money to build a new house in a neighborhood that was being established in Redford, Michigan, after having been married just three years. Their first son, Lawrence John, was born in 1955 but sadly died a year later. Their sorrow later turned to great joy as their family continued to grow with the birth of another son, James Robert, in 1957. He was followed by two daughters, Kathleen Ann in 1958 and Anne Marie in 1963. Through a work transfer, the family moved to Holland in 1971. Bob was so thrilled to welcome grandchildren and great-grandchildren into the family. He loved children and was always willing to get down on their level and play with them. Throughout his life Bob was always one to keep busy. He loved to tinker and was very interested in electronics. For many years he had his own side business as a TV repairman, and over the years he built many televisions from kits. Bob was a do-it-yourselfer long before it was a thing, and he spent many an hour in his workroom in the basement. Once computers started to become popular, he adopted that as his new hobby! In fact, he built his own home computer from a kit in the late 1970s and was featured in the Holland Sentinel because of it! Bob was also known for his amazing green thumb as he had he most vibrant flower gardens year after year. An outdoor lover, Bob enjoyed watching the birds, deer, turkey or any wildlife that walked by his homes. He was an avid reader and enjoyed investing as well. Bob was a member of St. Frances de Sales Catholic Church and volunteered for many years as an usher. He was a dog lover, and he and his beloved dog, Penny, were inseparable. It is with great joy and sadness that we raised Bob Carson up into the arms of our heavenly father on the morning of December 8th, 2018 surrounded by his loving children. 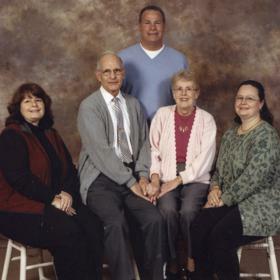 Bob’s family includes his children, Jim (Tina) Carson of Holland, Kathy (Bob) McDonald of Holland, and Anne (Mark) Brush of Hamilton. Grandchildren, Kelli McDonald & Andrew Palasek of Belmont, Amanda (Matthew) Grunst of Zeeland, Kristi (Kevin) Lidbeck, of Essexville, Katelyn (Stephanie) Smeenge of Hamilton, Lindsay Brush of Hamilton and step-grandchildren, Magdalen, Jocelyn and Kaden Maat of Holland. Great grandchildren, Makenzie, Madison and Makayla Grunst, Cadence Smeenge and Austin Lidbeck. A funeral mass will be held 11 a.m. Saturday, (December 15) at St. Francis de Sales Catholic Church, 195 West 13th Street. Visitation will be 9-10:45 am Saturday (December 15) at the church, prior to the service. Memorial contributions may be made to Hospice of Holland or St. Francis de Sales Catholic Church. Arrangements are by the Dykstra Funeral Home-Downtown Chapel. 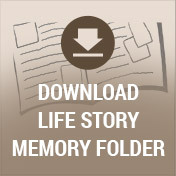 For an online registry, visit www.dykstrafuneralhome.com.